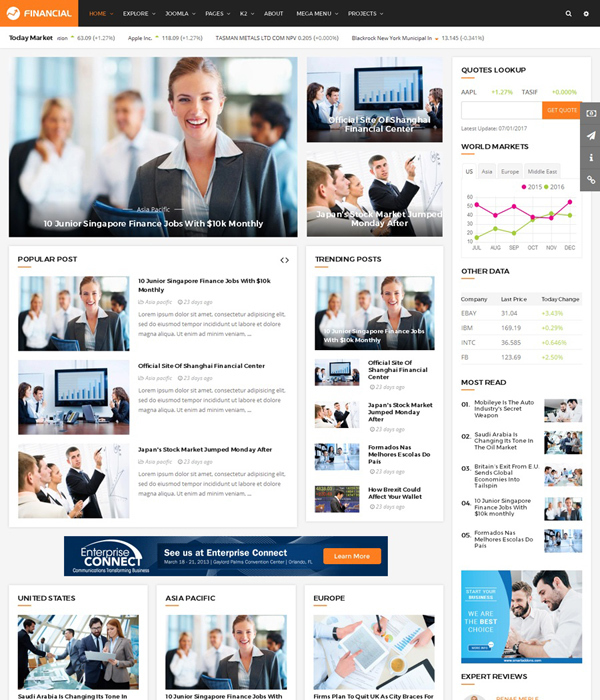 It can be seen that there are thousands of Joomla templates available on the internet that are designed for various kinds of business from online store to news, magazine site, from small business to the large one. With such a huge amount of template numbers, it's hard to pick a good one for your business. 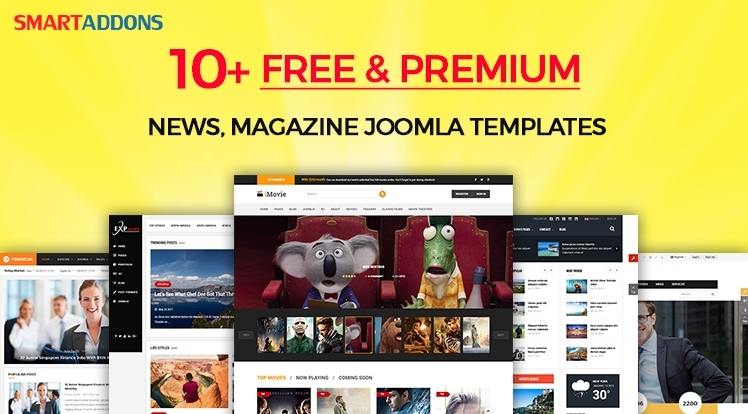 In this collection, I would like to help you select the best Free and Premium Joomla 3.7 templates for news, magazine website from SmartAddons - one of the most popular Website Development company with 9 years of experience. 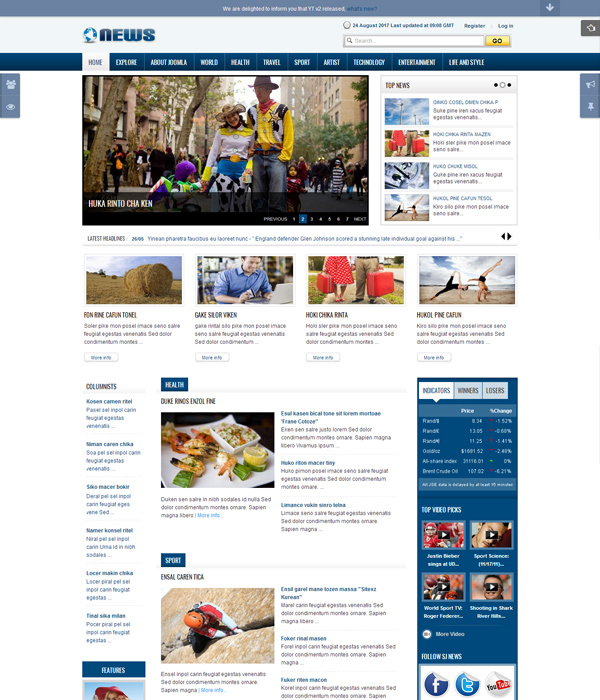 Sj ExpNews is a clean, user friendly, flexible, functional and fully responsive Joomla News, Magazine, Newspaper, and blog template. Featuring both grid & list listing, a variety of post layout formats and numerous advanced extensions, Sj ExpNews surely exhibit your work in an airy and cohesive presentation. 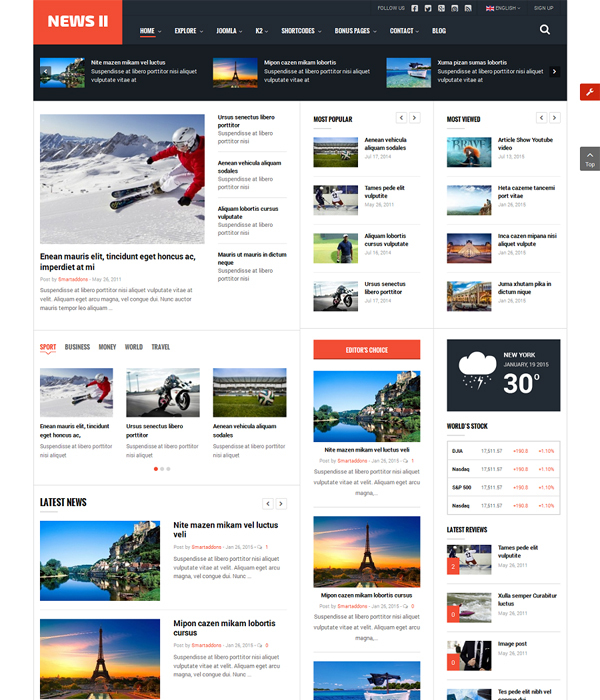 The news portal free template comes with a clean coded design, along with 8 modern color styles and powerful mega menu, supporting RTL language and various content types as well as boxed and full width layouts. It allows you to present content in a creative way to meet your ideas. Based on latest YT Framework and YT Shortcode, SJ Financial III is fully responsive and customizable with flexible features, easy-to-use backend. 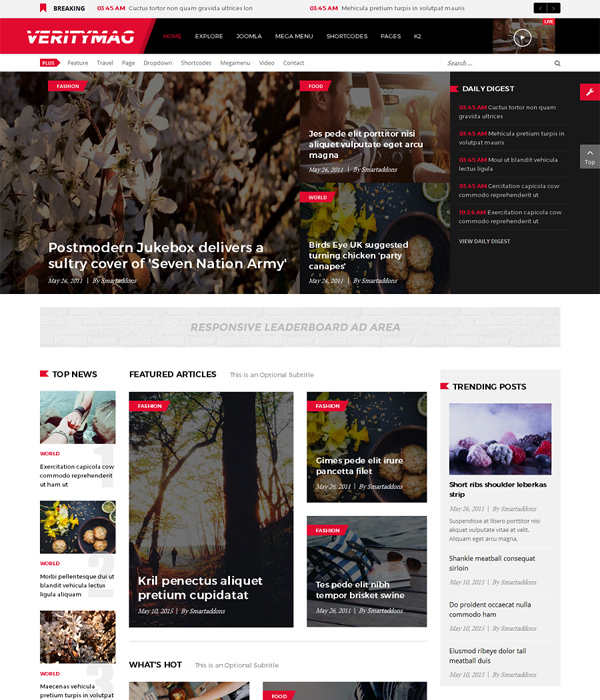 SJ VicMagz is a responsive and well-structured Free premium Joomla template that is ideal solution for any huge content news magazine website with dozens of powerful front-end and back-end features. 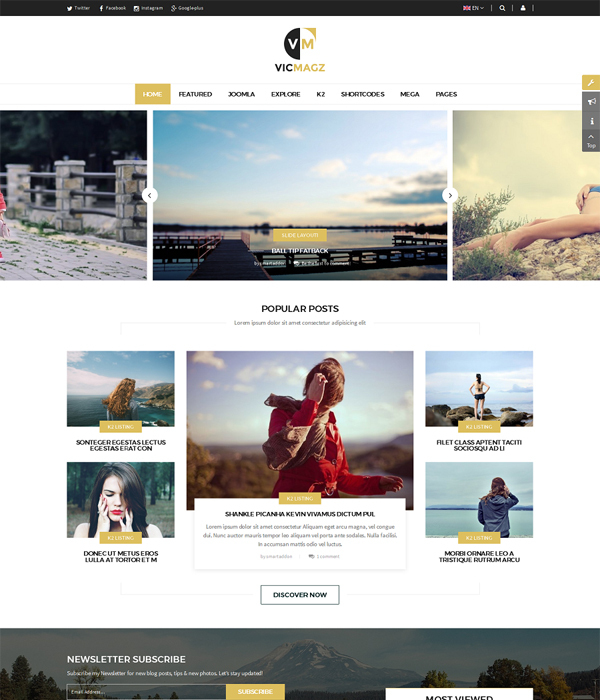 SJ VicMagz is built on YT Framework V3 which gives it an immeasurable weight of flexibility and agility. 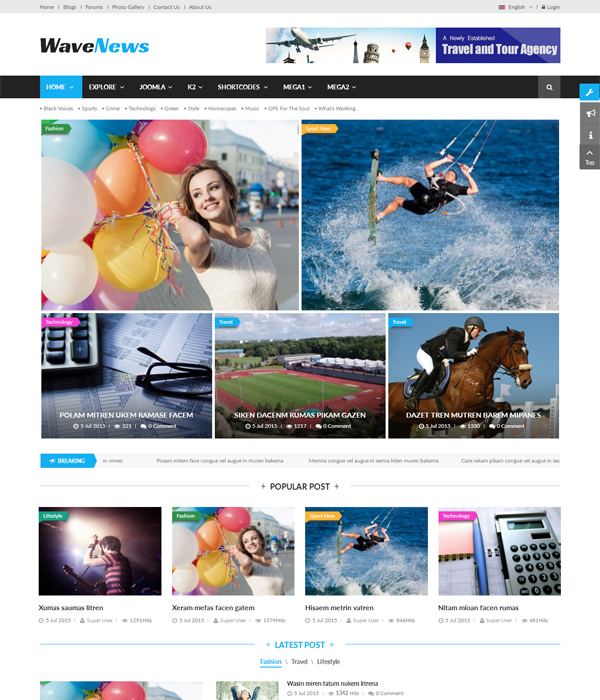 Besides, the free magazine template for Joomla comes packed with dozens of advanced in-house modules and intuitive features: k2 component, 4 layout styles, 5 color styles, mega menu, 65+ useful shortcode, etc. Moreover, with SP Page Builder (free version), you can quickly modify any page or create stunning sub pages without much effort. 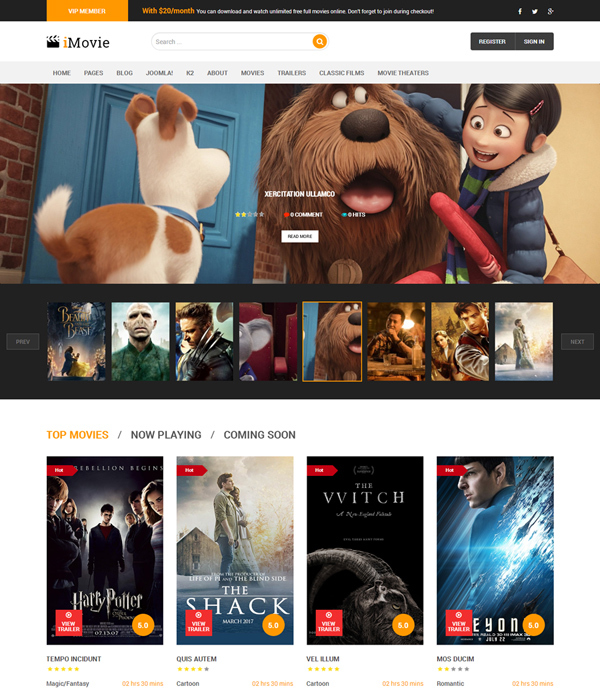 This movie Joomla template uses latest YT Shortcode Plugin that helps you create awesome content quickly without much coding knowledge required. Furthermore, SJ VerityMag comes with a clean coded design and well-structured layout allows you to present content in a creative way to meet your ideas. 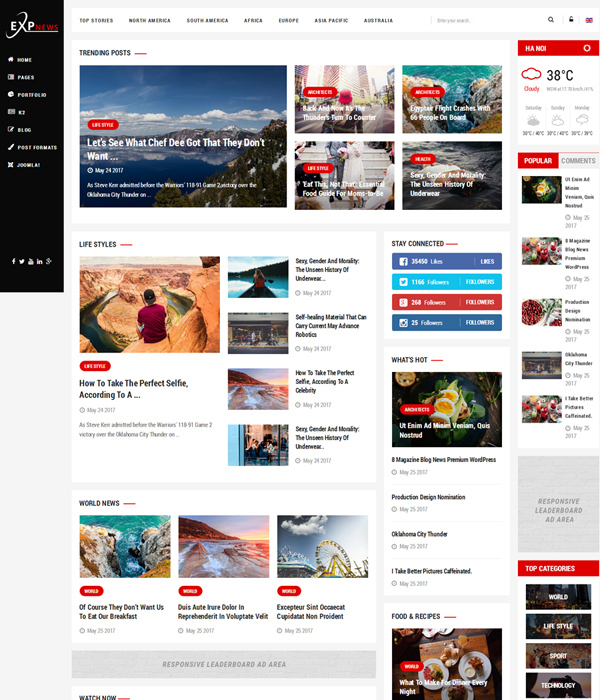 SJ WaveNews is a professional Responsive Joomla Template for general news, magazine, sports news, fashion news, lifestyles, entertainment or any news portal website with large content. SJ WaveNews is powered by YT Framework v3 with Bootstrap 3 built-in. 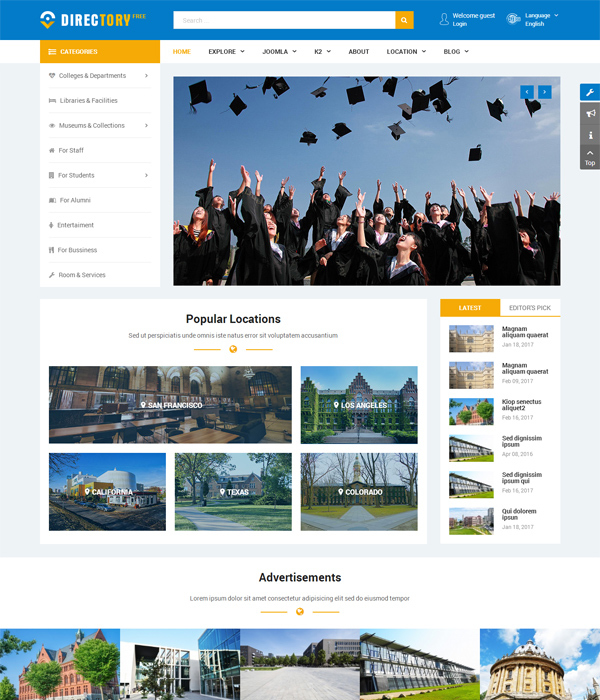 Therefore, it comes with many real world features: Responsive layout, 2 Homepage layouts, 5 Color style, Powerful Mega menu, Easy-to-customize and many others. Besides, the Joomla 3.7 template comes with a clean coded design and well-structured layout that help you quickly build a beautiful website in just a few minutes. SJ Time comes up with a clear structure along with simple color composite, therefore, your news will be effectively highlighted wherever. The template is available in 4 different layout styles: Wide, Boxed, Framed and Rounded layouts which adapt a wide range of usage. With a new eye-catching design and many extensions which integrated in, Sj News - a Free Joomla template is the present of Smartaddons to thank you for your continued support. Please visit Demo of us, we're sure SJ News will make you really satisfy. 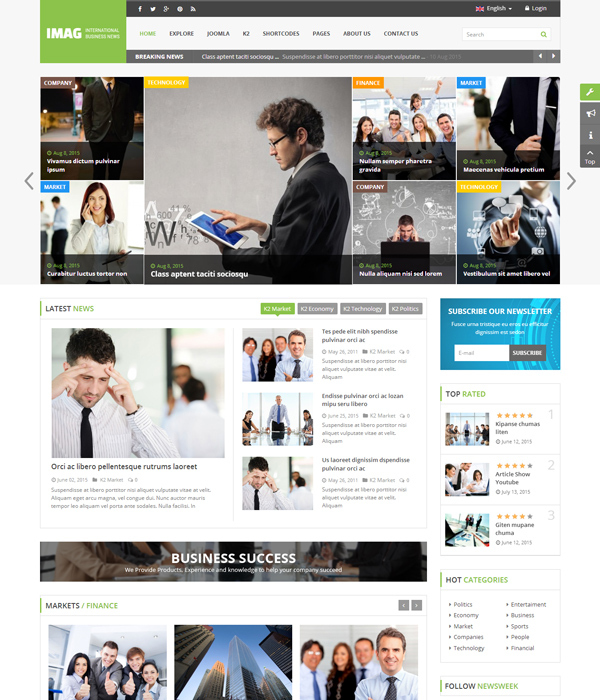 In this Free Joomla theme, we support many extensions which include both of module and plugin. You can use these extensions for showing articles at various positions on the template. With modern, clean and professional layout, this business Joomla template makes sure of your potential client to visit your site. 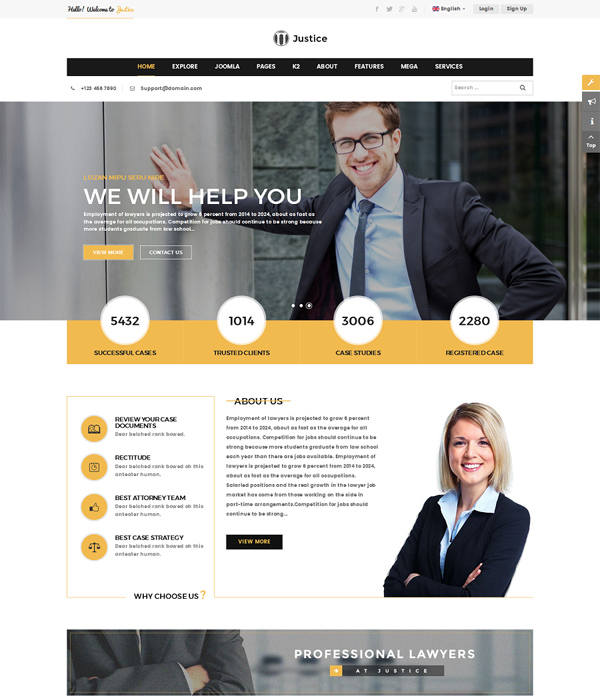 The template comes with lots of real world features to build a law firm website such as: services, trusted attorneys, legal news, areas of practice, blog and much more. SJ Directory Free version is built on YT Framework V3 which gives it an indefinite weight of compliance and agility. 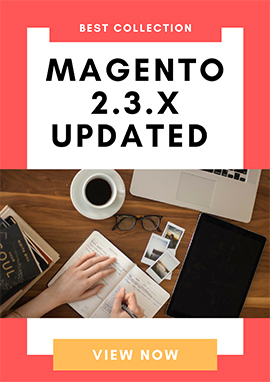 Besides, the free template comes packed with an intuitive features: K2 component, Mega Menu, 5 color styles, RTL ready, etc. Besides the multi-homepage layouts, the Joomla 3.x business template allows you to edit modules directly on the front end with no need to use the admin dashboard. It is really convenient for website administration and editing. Did you selected a template for your own? 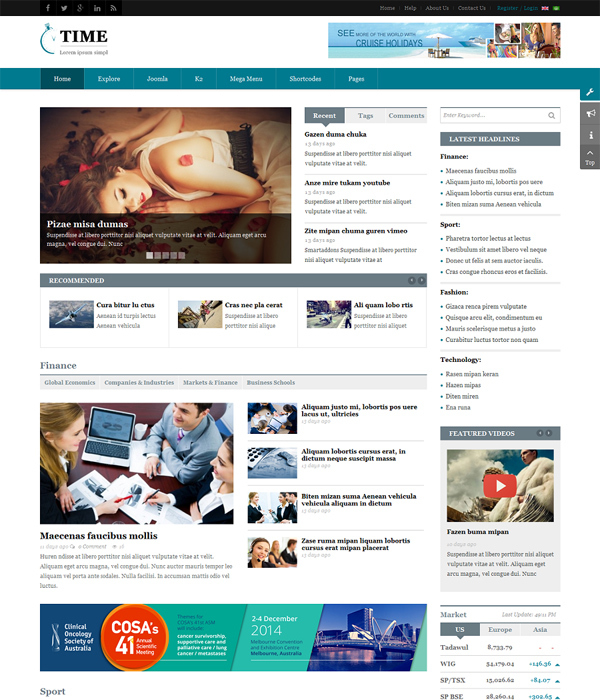 It can not be able to list all the best news, magazine Joomla templates from SmartAddons here. You can browse for all multipurpose Joomla templates here and find the most suitable design for your site now!